Florida prosecutors are committed to zealously pursuing those accused of trafficking in drugs. Even when a person is not the head “dealer” or the No. 1 shot-caller in a drug trafficking ring, laws still demand minimum mandatory prison terms. 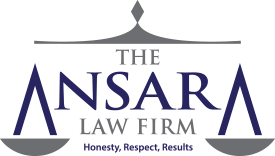 At The Ansara Law Firm, our Fort Lauderdale defense lawyers recognize the seriousness of drug trafficking charges. We know our clients are facing years behind bars – sometimes up to life. We take our commitment to protect their rights and fight for a favorable outcome with the utmost seriousness. Any one of these charges could have serious consequences, but prosecutors are known for stacking charges in an effort to compel a defendant to accept a guilty plea on at least some of the charges. Our skilled legal team will not allow our clients to be bullied, and we will not back down from a trial if that is the best chance of a good outcome for the defendant. Florida defines trafficking in drugs as the purposeful sale, purchase, manufacture, delivery, possession or transportation into the state of a “trafficking amount” of drugs. This is the minimum amount of certain substances needed to support a baseline drug trafficking charge. When the amount of the drug involved increases, so too does the minimum mandatory prison term. Again, minimum mandatory sentences will depend on the type of drug and how much is found. For example, a person with between 300 to 1,999 marijuana plants will face a minimum mandatory term of 3 years in prison, plus a $25,000 fine. Meanwhile, a person caught with between 2,000 and 9,999 marijuana plants will face a minimum 7-year term, plus a $50,000 fine. Some of the toughest minimum mandatory sentences are reserved for those dealing in prescription drugs. For example, one need only have 4 grams of Oxycodone to be sentenced to a 3-year minimum mandatory term with a $50,000 fine. (That’s about 135, 30 mg pills, or only about 14 pills if they are 300 mg each.) Increase that to 28 grams, and the minimum mandatory you will serve if convicted is 25 years behind bars, plus you’ll owe a $500,000 fine. Note that these are the minimum terms, and individuals may end up serving a lot more than that if the judge allows it. These minimum mandatory penalties are spelled out in F.S. 893.135. It’s also worth pointing out, you are penalized for the entire weight of the pill, not just the narcotic portion of it. So if you have a large pill that contains a narcotic, plus aspirin and other fillers, you are charged based on the total weight of that pill – even if the majority of its weight contains legal substances. In defending a drug crime case, our Fort Lauderdale criminal defense attorneys will of course first look at the more common strategies that can be raised in any type of criminal case. These would be raised in either a motion to suppress or motion to dismiss. Illegal search and seizure also often come into play. Police must follow legal procedure in order to stop a vehicle, initiate a search or, in some cases, question a suspect. If there is a violation of any of these laws, this evidence may be suppressed. Finally, we would look at the option of substantial assistance. Technically, this isn’t a defense. However, it’s useful in cases where evidence against defendant is strong, yet he or she is willing to provide prosecutors assistance in identifying, arresting or convicting other persons involved in drug trafficking activity. Often, this can help to significantly reduce the charges and penalties against a defendant willing to cooperate. But defendants should never attempt to negotiate this deal without the aid of an experienced criminal defense lawyer.